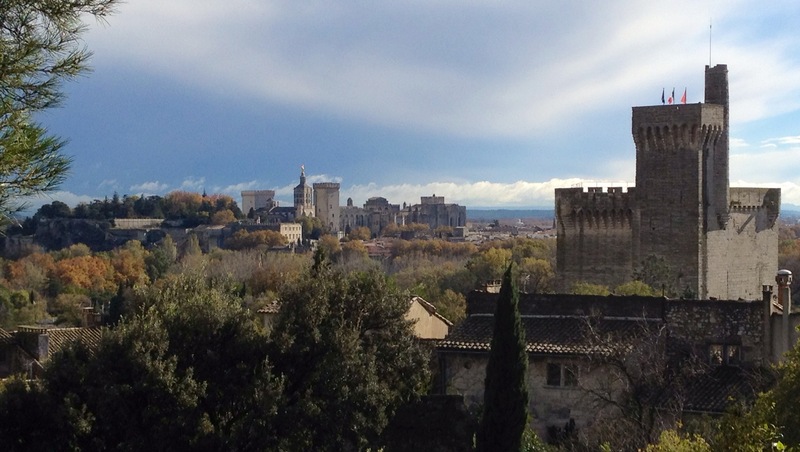 After the busy city of Marseille, Avignon was a medieval oasis of calm. 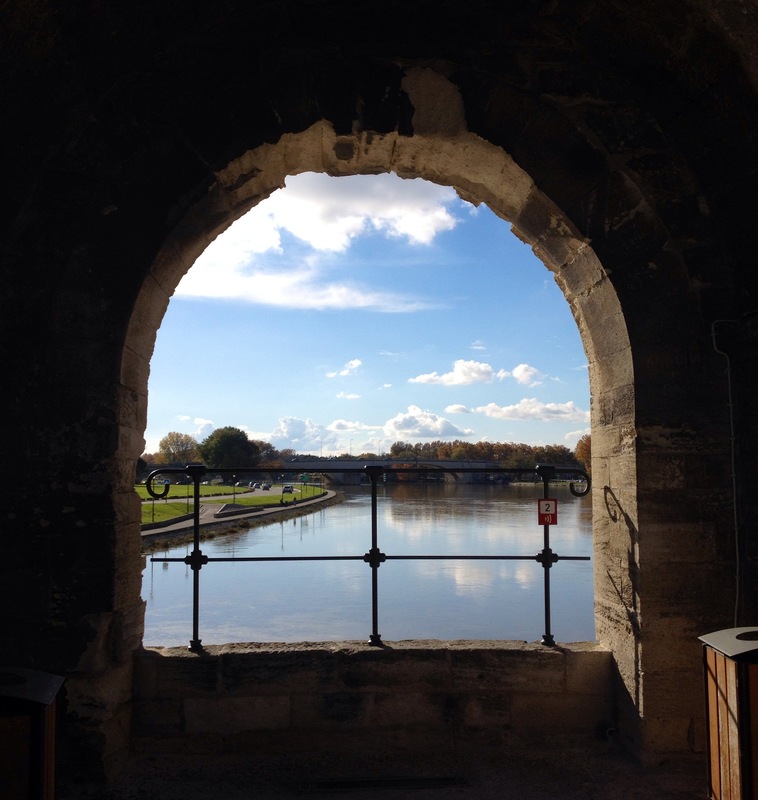 It was by far my favourite city in France. 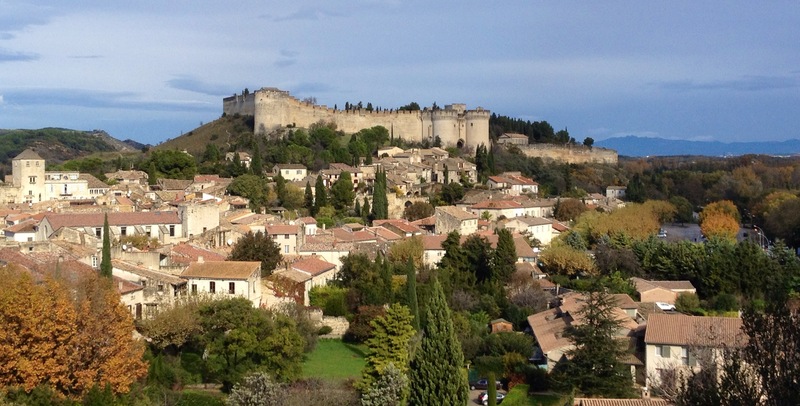 The walled city, surrounded by a moat looks like a town from a fairytale. 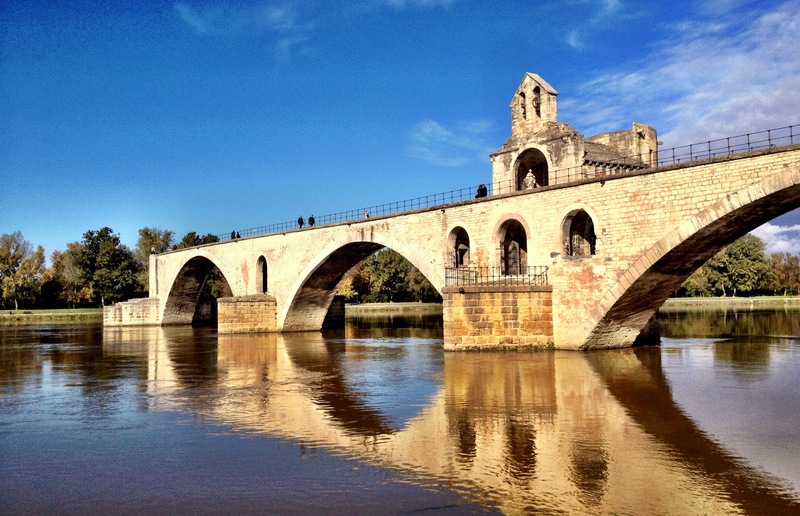 The famous Avignon Bridge (that now stands only half completed after being destroyed by the river years ago) and the Palais de Pape (a castle that served as the papal residence during the 14th century) make for some stunning backdrops to a picturesque, old brick town. 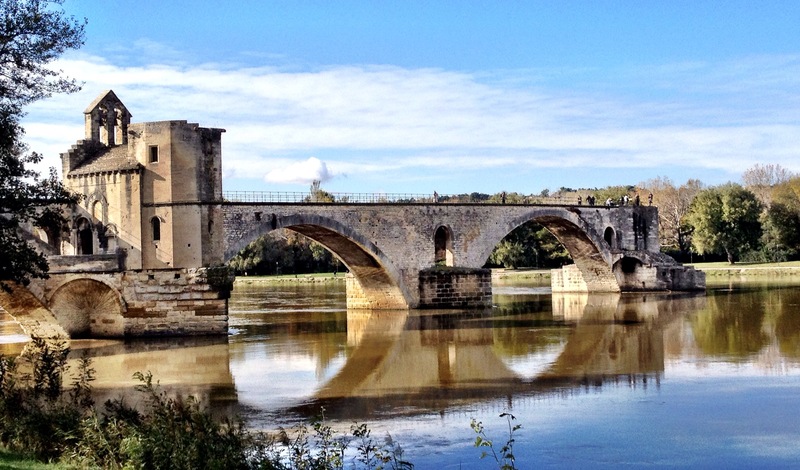 I spent four days in Avignon, even though you can circle the outside of the city in a little less than an hour. 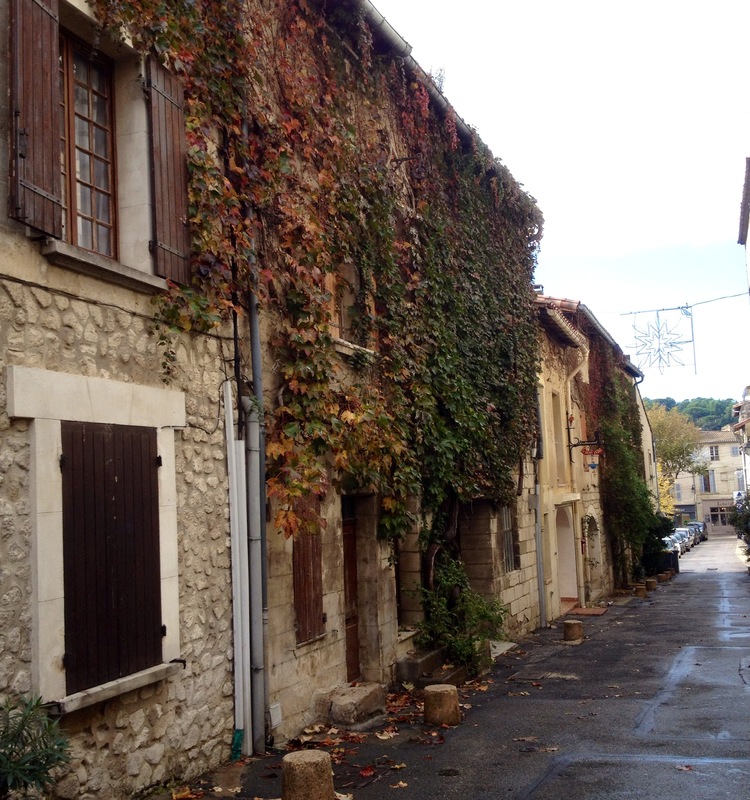 I had high hopes of using Avignon as my home base for exploring small towns in the area like Les Baux and Arles. But in the end the rains came in, buses were scarce in the off season, and private tours were expensive. 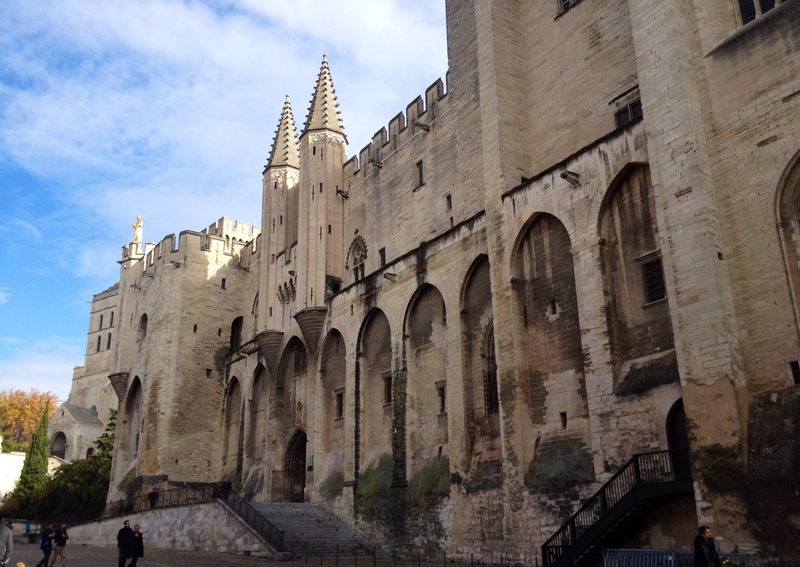 So I used my time in Avignon to relax: drink coffee, eat pastries and crepes, read a book. It was perfect! 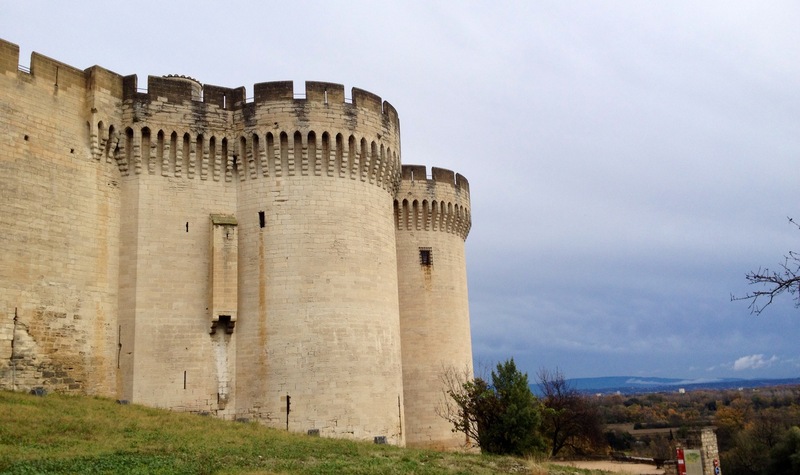 I walked around the city when the rains slowed, and even made the trek over to the new city one afternoon to take some more photos back on Avignon from across the rivers. 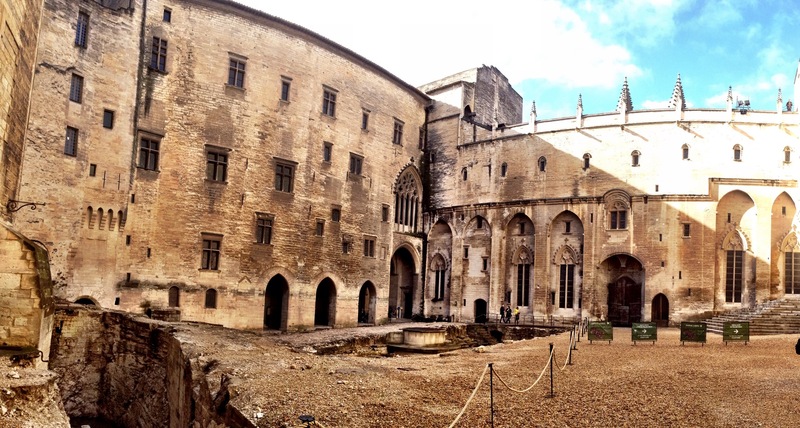 This entry was posted in Uncategorized and tagged avignon, medieval oasis, papace, relaxing by hilarylust. Bookmark the permalink.